Editor’s note: This is a sponsored article, which means it’s independently written by our editorial team but financially supported by another organisation, in this case, SaaStock. If you would like to learn more about sponsored posts on Tech.eu, read this and contact us if you’re interested in partnering with us. Software-as-a-Service (SaaS) has come to life in recent years in Europe. You just need to look at the amount of startups building products and raising funds as well as American companies coming to the continent to set up shop. Last year France’s Mailjet, a cloud emailing service raised over $11 million in a Series B round; Greece’s Workable, a HR platform, secured a $27 million Series B round led by Balderton Capital; and German revenue analytics startup ChartMogul raised its second seed round from Nine Point Capital in August. Meanwhile American companies like Slack have opened offices in Dublin while NetSuite has offices dotted around the continent in the UK, Spain, and Czech Republic. The SaaS market is tipped to be worth more than $160 billion by 2020, according to Transparency Market Research. While the US still holds the lead in this market, the research firm found that Western European startups were generating significant revenues and raising big financing rounds, with Eurostat figures showing that European firms are closing the gap with their American peers when it comes to using cloud services. The industry appears to be moving fast but still has some ground to cover when it comes to catching up with the States. SaaS companies, whether they’re large enterprises or hopeful startups, seemingly have more resources and networking opportunities stateside with conferences like Dreamforce and Saastr in San Francisco or Inbound in Boston. It begs the question of why there aren’t more events in Europe. SaaStock, which will be holding its inaugural event in Dublin on September 22, is attempting to address this lack of events for European SaaS startups. The event is the idea of Alexander Theuma, who set up the SaaScribe blog a year ago to be a resource for founders and people working in SaaS. As the blog gained traction, it became clear that a conference was sorely lacking, especially for founders that don’t have the budget to travel to San Francisco. 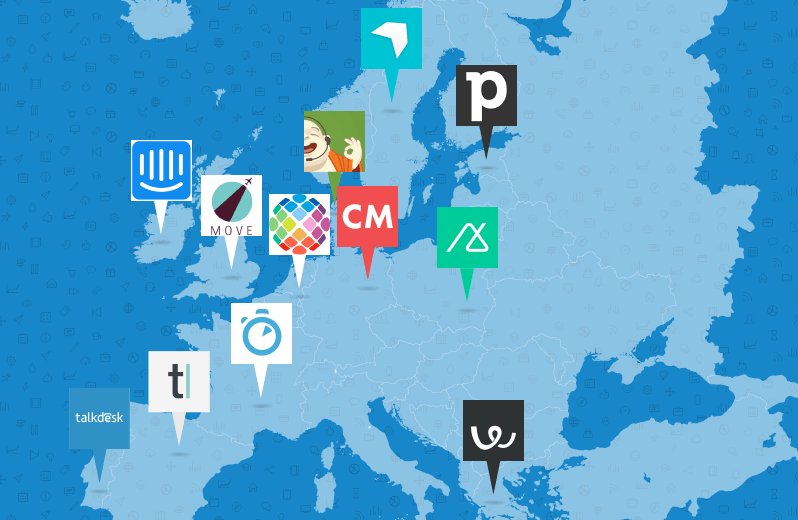 Furthermore, Dublin has the potential to be a SaaS hub in Europe. It has already played host to SaaScribe’s local meetups for SaaS founders and the city is home to promising native companies like Intercom and notable international firms like Slack, Zendesk, and Hubspot. Taking place at the RDS in Dublin, the event will welcome 700 attendees working in the SaaS space along with venture capitalists to network, seek advice on building your SaaS startup, and gather the pulse on the where the market is headed. Expect to see more speakers announced in the coming weeks. Dublin will also play host to the SaaStock Fringe, a collection of workshops, bootcamps, and social events such as tours of SaaSs businesses and pub crawls around the city. Events like SaaStock will be laying the building blocks for the industry’s future in Europe where startups can come together and discover the next Intercom or Workable or the next innovation that you didn’t see coming. Early bird tickets for SaaStock are on sale now.